It had been a while since we’d been back to our old stomping grounds in East London. We headed over on a Thursday evening a couple of weeks back to check out the opening night at Truck Stop – a pop up dining experience of a whole range of food trucks on Wood Wharf. We stuffed ourselves with freshly made beef hot dogs, buttermilk fried chicken burgers, and Camden Hells Lager. It was a beautiful night so, instead of getting back on to the Jubilee line to Westminster, we caught the Thames Clipper back up the river. 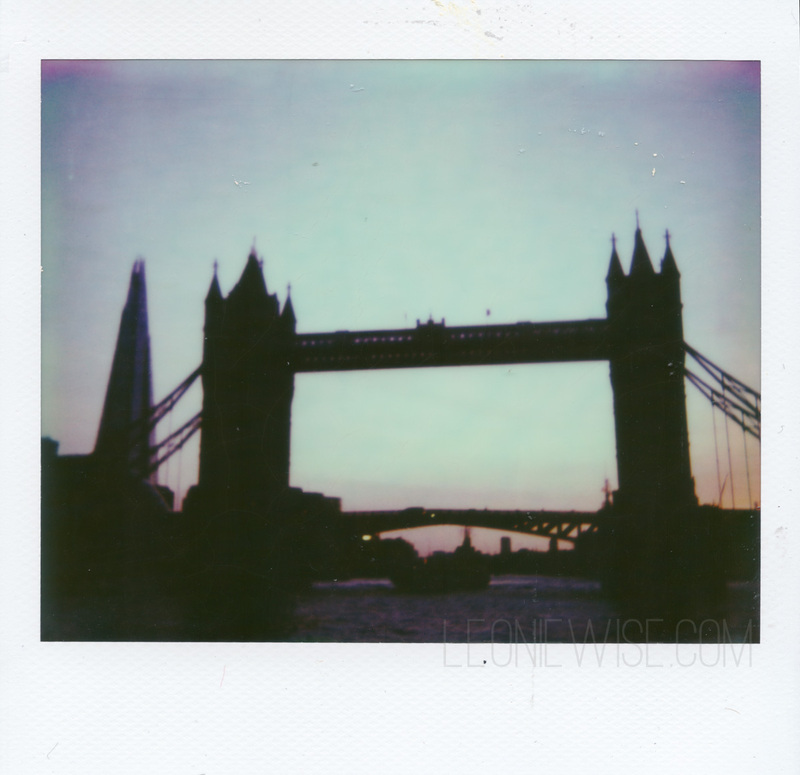 The sunset was amazing – the silhouettes of Tower Bridge and The Shard were the only polaroid I wanted to make. This entry was posted in six years in london and tagged impossible project, london, polaroid, spectra. Bookmark the permalink.